It's that time again when we just want it to be over but, winter doesn't seem to want to end. 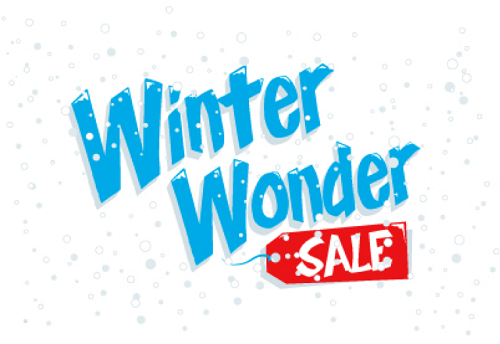 Sohere at the Park, we thought we'd help to warm things up with our Winter Wonder Sale. For a limited time enjoy 20% off your purchase. Shop over a thousand items from Marvel, DC Comics, Star Trek, Star Wars, Doctor Who, Game of Thrones and more. And to top it off, this sale is automatically applied to your order, no need to enter any special code, no buy this to get that, no items excluded and definitely no minimum purchase to meet. Just set up your account if you don't have one already and then shop and save. Applicable taxes are applied to sell price before discount. Sale can not be combined with other discounts or promotions.